Mai Tai Cocktail Bar is an award-winning cocktail bar based in Ashley Cross in Parkstone near Bournemouth. 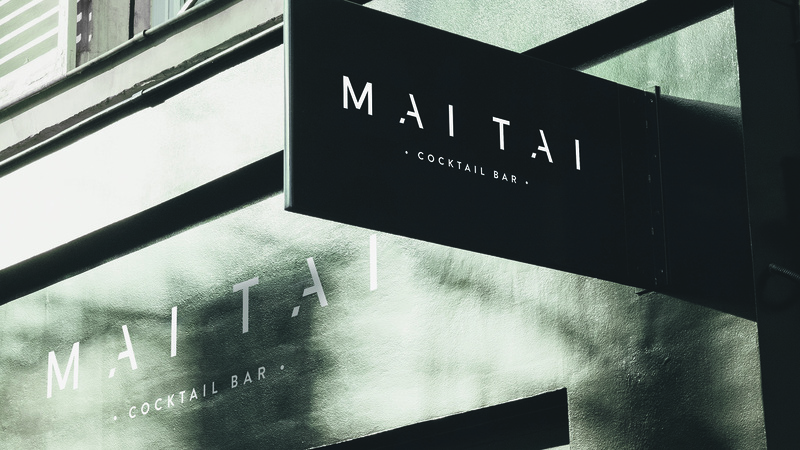 Over the past decade, Mai Tai Cocktail Bar has been an industry leader in cocktails and mixology. 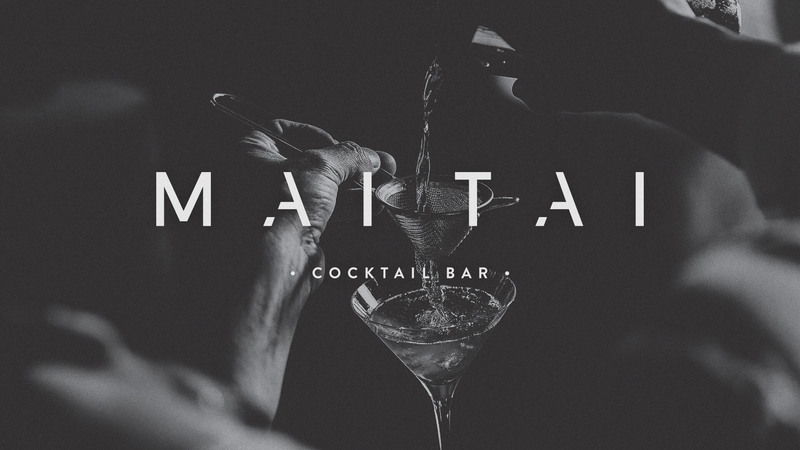 Mai Tai approached 778 to deliver a new and vibrant brand identity to coincide with the expansion of their bar. The logo marque itself was to align to a London-esque look, projecting a more upmarket and exclusive offering. This image was further reinforced via a series of deliverables to support the re-launch. 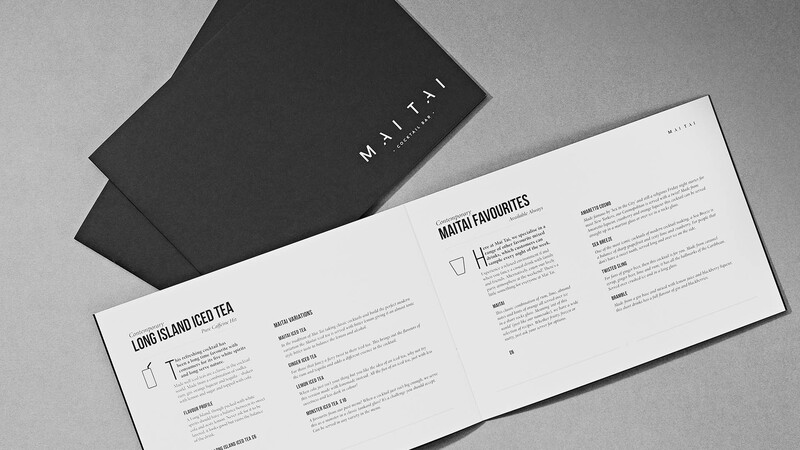 These included menu design, bottle label design, as well as interior and exterior graphics. 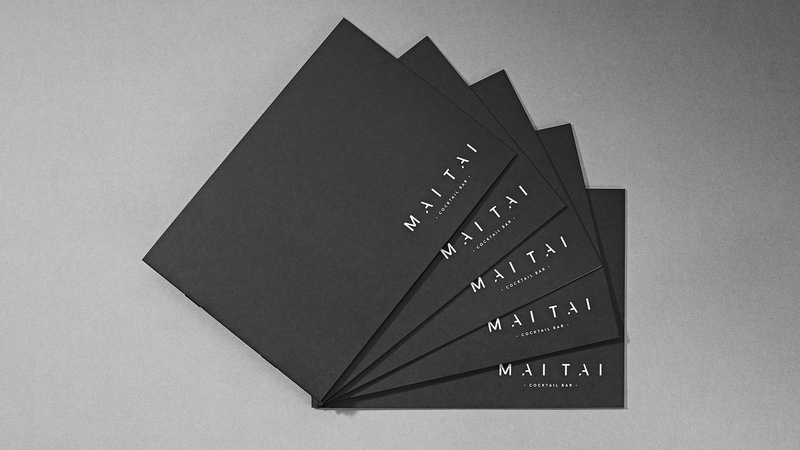 The menus themselves included print of white ink on GF Smith Ebony Black Colorplan, for a sophisticated design worthy of an exclusive cocktail menu. 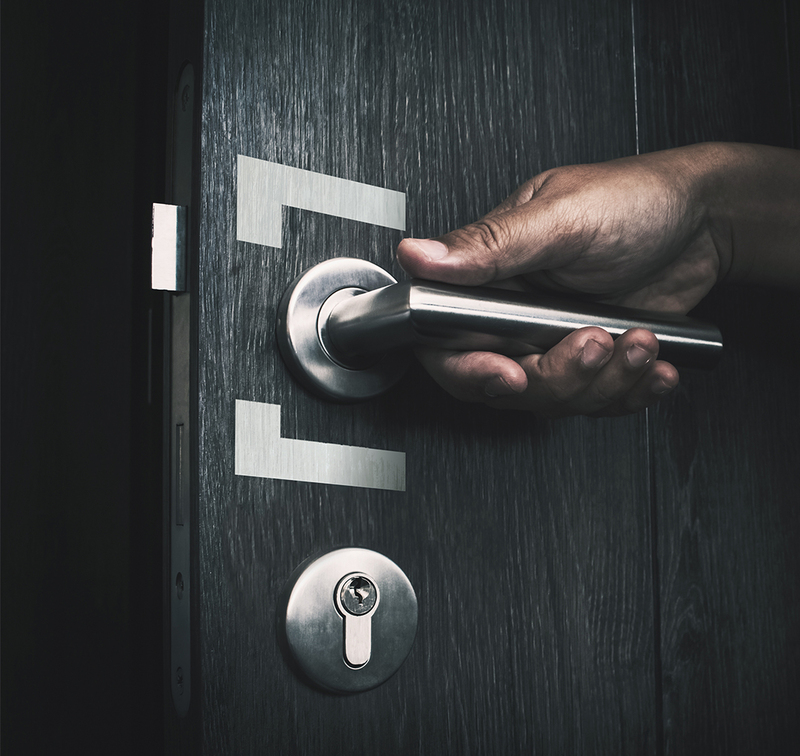 Mai Tai also plan to launch an Exclusive Members Clubroom for private events and functions, as well as VIP guests, for which we have developed the naming strategy and visual identity.